There's still time to register to attend. Here's the link to register for your entry, which is FREE. This year, we're at Stand H36 which is directly facing the area in Hall 5 where MedTree are situated. As usual, Barry and Benny will be making their appearances at our stand, so we shouldn't be too hard to spot. We're changing our display this year, to show a little variety. With the assistance of ProMove and Skylotec, we will be displaying Barry and Benny in the ProMove Crane Sling Kit, fixed to a Skylotec Milan Hub Rescue Device. This will give an illustration of one of the many ways in which a Bariquin can be used in training. 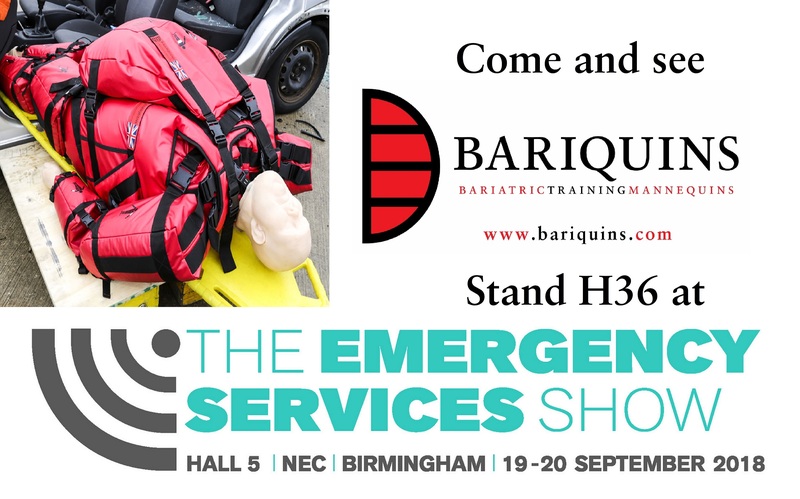 Also at the stand will be details of the bariatric casualty and bariatric patient handling training courses offered by Bariquins. Patient handling training is for circumstances where there is access to hoists. Casualty handling training is for scenarios where such equipment is not available and where moving the plus-size person is time critical. There will be information on the finance options available too. Plus the new brochure from Bariquins can be obtained from their stand. In it, you’ll find information on the above plus some alarming statistics on the effects that obesity can cause. So come along and meet both Barry and Benny as well as the Bariquins staff. Here's the link to the Bariquins exhibition profile. Get in touch if you want to ask a question or arrange to meet us there. Bring along a colleague too! Don't forget that entry to the show and parking are FREE. If you want to keep up with the news, follow the exhibition on Twitter at @emergencyukshow or #ESS2018. As can be seen from the image above, we had a busy time last year. We're hoping to do even better this year. So, why don't you come along and bring your colleague with you? In order to fill a gap in our portfolio, Bariquins are introducing a Weekly Rental Option. This supplements the purchase, hire-purchase and lease-hire availability of our Bariquin mannequins that, up to now, were the only ways of obtaining a Bariquin. Whether you want to hire a Bariquin for carrying out a training exercise or providing a concentrated programme of staff training courses, the Weekly Rental Option is ideal. Under the Option, the price of first week is £500 +VAT, dropping to £350 +VAT per week for subsequent weeks after that, providing that it is a continual period of hire. As an Introductory Offer. delivery costs will not be charged if the Weekly Rental Option is taken out before March 2019. Under the Weekly Rental Option, a Bariquin will be delivered to site, complete with their Easy-Fit outfits and a Roll-Cage to assist moving the Bariquin at the location. Although the Bariquins are marked with decals and markings to aid assembly, instructions for assembly will be given when delivery is made. This will allay any concerns that first time users may have. The Weekly Rental Option will only be available for mainland UK use. In this regular section, we'll be looking at news from Bariquins and other pieces of interest that have occurred since the last newsletter. 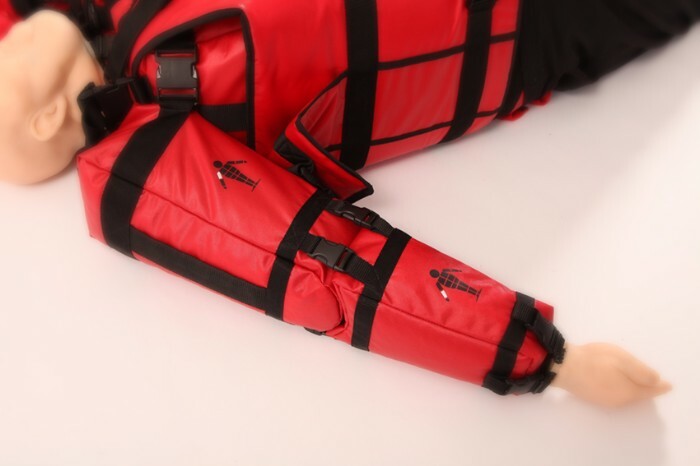 Firstly, Bariquins have completed our first export to the US, in response to an enquiry from a hospital in New Hampshire. (That is, the first US export, not our first export). 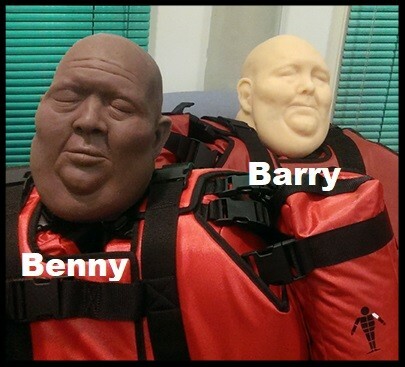 The hospital will be using the Bariquin in their Simulation Center to assist in training the healthcare staff there in bariatric patient moving and handling techniques. Bariquins are not yet targeting the USA market, so this is reassuring for when we do look to export there. As you can imagine, as a nation that suffers so much from obesity and its affects, Bariquins has plans for America in the near future. October will see our first Bariatric Awareness Demonstration Day. The aim of the event is to highlight the considerations when moving and handling a plus-size person to prevent musculoskeletal injuries to the healthcarer or responder whilst maintaining the dignity and safety of the person being moved. 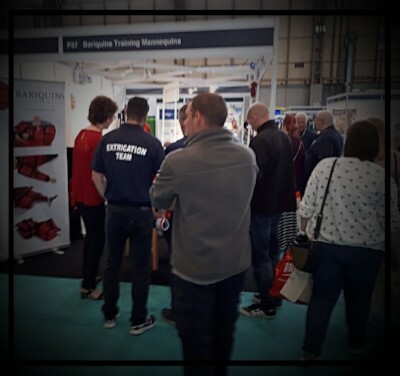 Bariquins, Disabled Living, Diligent Training, Spectrum Healthcare and Alison Meadows Training & Development will be showcasing demonstrations at the event. Invites, which are limited, have already been sent out to guests for October's Demonstration Day. However, if you would like to register your interest for a future event, please contact us via the email link at the base of the newsletter. We are planning to take these events to various locations throughout the UK. Finally, Barry was invited to LBC Radio Studios for his appearance on Nick Ferrari's Breakfast Show. Barry appeared on the show in relation to an investigation by LBC Radio's reporter Rachael Venables. She had made Freedom Of Information requests to UK Fire & Rescue Services regarding the number of times firefighters have been called to rescue morbidly obese people. Rachael's enquiries found that these type of rescues had doubled in five years. Also on the show, alongside Barry was Bariquins' Managing Director, Chris Jarratt and Neal Pickersgill MBE. Neal is a Specialist Rescue Trainer and provides Bariatric Casualty Rescue Training on behalf of Bariquins. 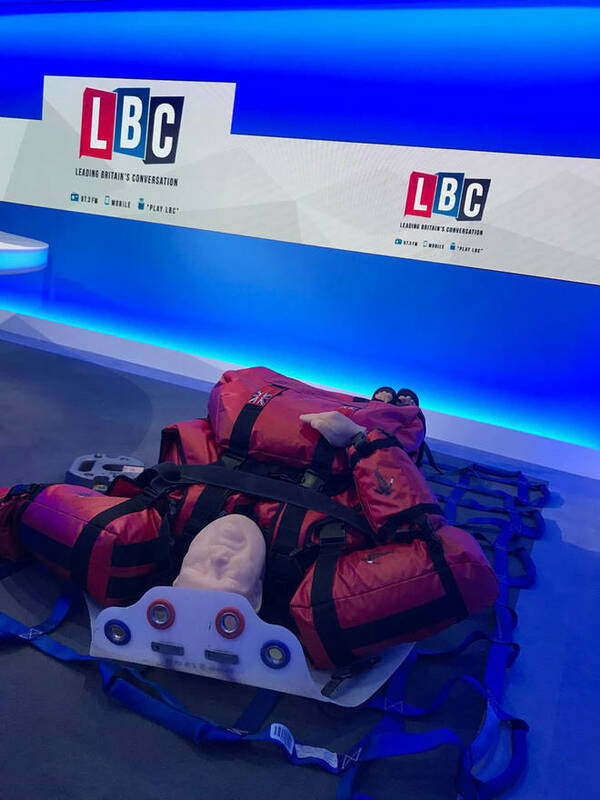 Click on the image below to read the write-up and view videos of the show, including Chris, Neal and LBC Radio Station staff evacuating Barry from the studio, following a challenge from presenter Nick Ferrari. Until the next newsletter, Stay Safe.